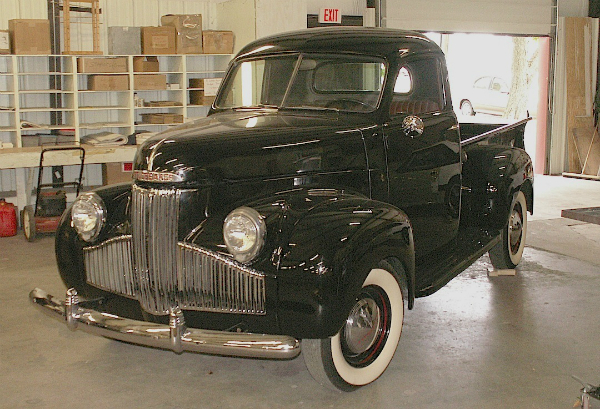 Came across this M-Series Studebaker Coupe Express pickup a few years ago in the back room of a business in Niagara Falls, where a work acquaintance was temporarily storing it for a friend. The M-Series was sold from model years 1941-48, with not many styling changes throughout the run. Studebaker called them “marvelously comfortable” in their ads. This one looks pretty deluxe, with a full chrome grille (a painted version was standard) and white sidewall tires. Jim Corbran, RRofWNY …and check out our Facebook page: Non-American Classic Cars The post RealRides Of WNY appeared first on Buffalo Cars.